* Sweets – to bribe the kids with, but you feel less guilty if you pack them in your bag, rather than in the change bag – plus – if anyone else needs to dip into the change bag for an emergency wipe or soother – you won’t be judged as a bad mum! * Chocolate – obviously now for you, which you can eat in ‘secret squirrel’ style whilst out of the house away from the prying eye of Hubbie who thinks you’re still on your strict diet. * The iPad – because the book may be lovely for all of ten minutes – but if you really want to keep the quiet – this is the tool for the job! You can seriously sit for a whole lucnbreak at the l;ocal coffee shop chatting to your friends as long as little Billy is glued to that screen! What’s not to love!! * Extra strong headache tablets – oooh – and buy the ones with caffeine in them too! Trust me!. * Your Phone – to try and keep some sanity by reminding yourself that you do in fact have other people to talk to who are actually over the age of 5, and where the topic of conversation doesn’t involve telling swiper to stop swiping or explaining why Norman is always in trouble! * Bits of random disgusting tissue all rolled up with spat out food and gum and snot – these will appear – so don’t fret when you first start to see them appearing! * Sunglasses – these are fab to hide the dark circles and bags around your eyes, where you’ve been up all night with crying children! * Dry shampoo – a great little piece of kit to always have on your person, as lo and behold, once again, you’ve left the house having had no time to shower your hair! * Make Up Bag – for the same reason – you didn’t get a chance to ‘put your face on’ either! * Rolled up flat shoes – a godsend! As try as you might to look like the fab yummy mummy we all hear rumours of, all kitted out in your 5inch heels again, it’s not comfy and you look idiotic as you struggle trying to push a buggy at the same time as having to totter on aesthetically pleasing but hazardous and totally un-user friendly cobbled pathways after the toddler as he bids a break for freedom! * Tena lady – My motto – always better to be on the safe side – don’t you agree?!?! So these are fab just in case something makes you laugh that little bit more than you realised it might do in the first place! * A Pac-a-mac! – Fashion may well and truly have failed you here as I’m not sure how ‘cool and stylish these are deemed as nowadays!, but on the plus side, it’s you who ends up the smug one as your face is all toggled up in that sudden rain/hail storm and all those preened (and fabulous looking) fashionistas out there are huddled in doorways or looking like drowned rats! Mwhahahaha! * Miniature spirits – no need to explain, but always handy if you’re having an extra taxing day!! * And finally – please remember to pack your ‘I really couldn’t give a toss’ mac – a sanity saver if you will – this is the one that will protect you from those storms where eyes are glaring at you as you battle to control your unruly kids in the grocery store, and as regular nobody’s feel it is their godforsaken right to openly ‘tut’ and shake their heads at you as they pass by. Seriously – without this coat – you’ll most definitely be caught out in one of those horrendous storms – but with it on – it’ll literally be like water off a ducks back! 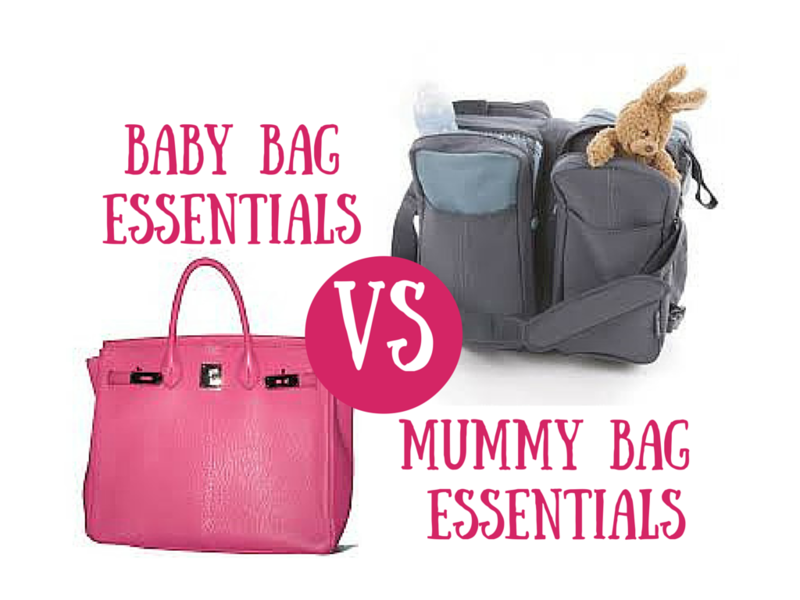 So there you have it – my Changebag vs Handbag Essentials – a little guide to the REAL necessities to get you through early motherhood and beyond! What would you add to my little list??? Hahaha! Very funny but have no idea how you could possibly get all those things in one bag!?!?! Hahaha! Yeah me too in reality!! You forgot fruit shoots – so that your handbag will become full of annoying plastic tops. I also had a bag full of brown sugar as I never know what to do with those sachets that come with your coffee, chuck them in my bag (for my dad) and promptly forget about them. Also mangled crayons. I have lots of those. 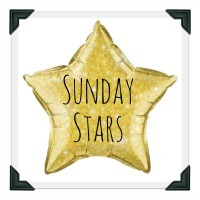 linda hobbis recently posted…I’m Going To BritMums Live 2015! So true I always forget clothes for me. Brings back memories. I think I ditched the handbag in favour of an over stuffed changing bag. Once they were potty training I made them carry their own change of clothes etc in their little back pack thing with the lead attached. Although I did always keep a spare pair of knickers in my handbag (you can never have too many pairs when potty training). Word of advice, when carrying kids spare pants in your handbag – don’t pull them out instead of your purse when the collection plate is handed around in church! Yes I did!